Pure HTTP APIs (aka REST APIs) are very popular at the moment. If you are building/maintaining one, you have probably learnt (perhaps the hard way) that having a monitoring on your API is one of your top cross-cutting concerns. 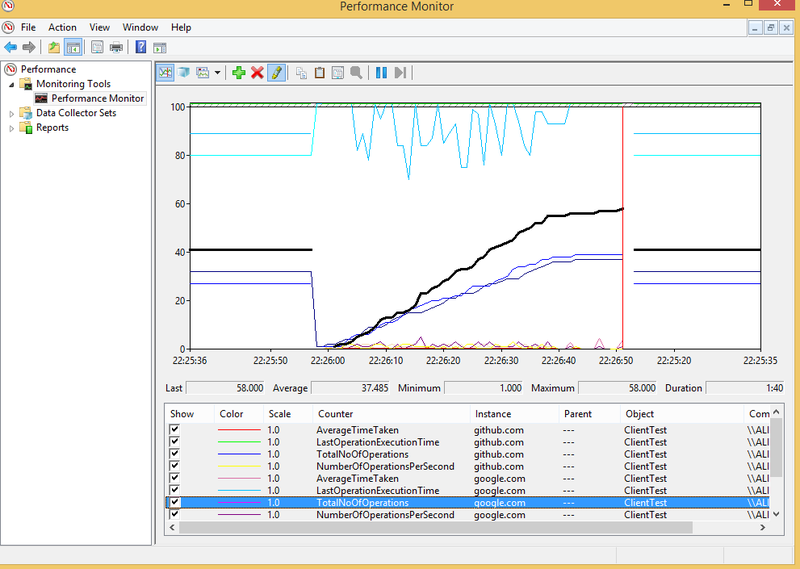 This monitoring involves different aspects of the API, one of which is the performance. 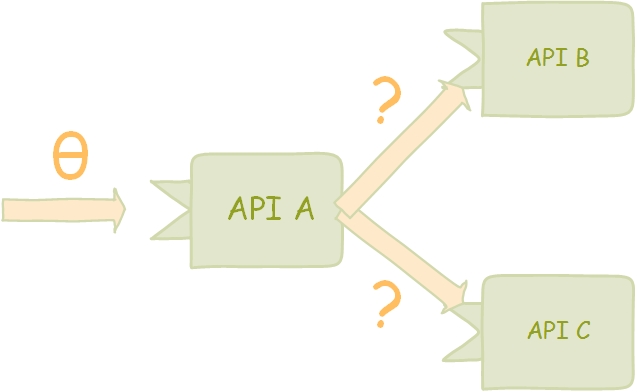 There has been many approaches to solving cross-cutting concerns on APIs. Proxying has been a popular one and there has been proliferation of proxy type services such as Mashery or Apigee which basically sit in front of your API and provide an abstraction which can solve your security and access control, monetizing or performance monitoring. This is a popular approach but comes with its headaches. One of these problems is that if you already have a security mechanism in place, it can clash with the one provided by the service. Also the geographic distribution of these services, although are getting better, is not as good as the one provided by many cloud vendors. This can mean that your traffic could be bouncing across the Atlantic ocean a couple of times before getting to your end users - and this is bad, really really bad. On the other hand, these will not tell you what is happening inside your application which you have to solve differently using classic monitoring approaches. So in a sense, I would say you might as well just byte! the bullet and just implement it yourself. 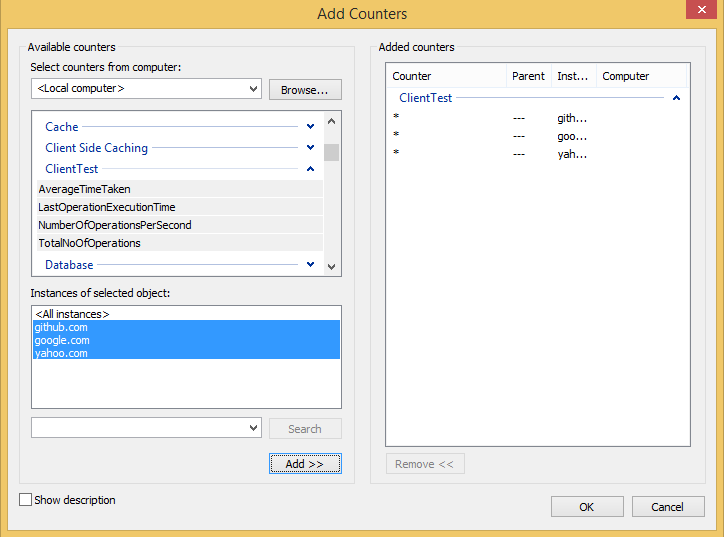 PerfIt was a library I built a couple of years ago to provide performance counters for ASP.NET Web API. Creating and managing performance counters for windows is not a rocket science but is clumsy and once you do it over and over and for every service, this is just a bit too much overhead. So this was designed to make it really simple for you... well, actually for myself :) I have been using PerfIt over the last two years - in production - and it serves the purpose. Now, it is all well and good to know what is the performance characteristics of your API. But this gets really more complicated when you have taken a dependency on other APIs and degradation of your API is the result of performance issues in your dependent APIs. This is really a blame game: considering the fact that each MicroServie is managed by a single team and in an ideal DevOps world, the developers must support their services and you would love to blame another team rather than yourself especially if this is truly the direct result of performance degradation in a dependent service. One solution is have access to performance metrics of the dependent APIs but really this might not be possible and kinda goes against the DevOps model of operations. On the other hand, what if this is due to an issue in an intermediary - such as a Proxy? The real solution is to benchmark and monitor the calls you are making out of your API. And I have implemented a new DelegatingHandler to do that measurement for you! So HttpClient is the de-facto class for accessing HTTP APIs. If you are using something else then either you have a really really good reason to do so or you are just doing it wrong. These are the 4 counters that you would normally need. If you need another, just get in touch with me but remember these counters must be business-independent. Or by using an installer class as explained on the GitHub page and then running InstallUtil.exe. So as you can see, it is extremely easy to set this up and run it. I might expose the part of the code that defines the instance name which will probably be coming in the next versions. Please use the GitHub page to ask questions or provide feedbacks.